It is March and that only means one thing: March Madness! Even though we do not discuss sports we still wanted to join the bracket fun and make one for ourselves. Last year we learned that Arrested Development was the best television show. 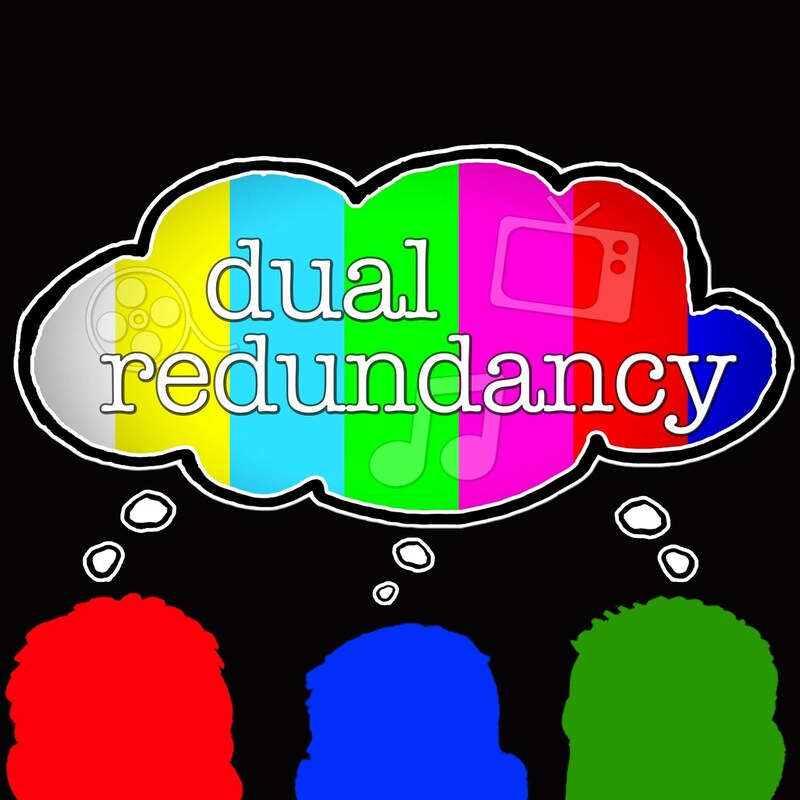 This year Dual Redundancy wants to know what is the best movie? 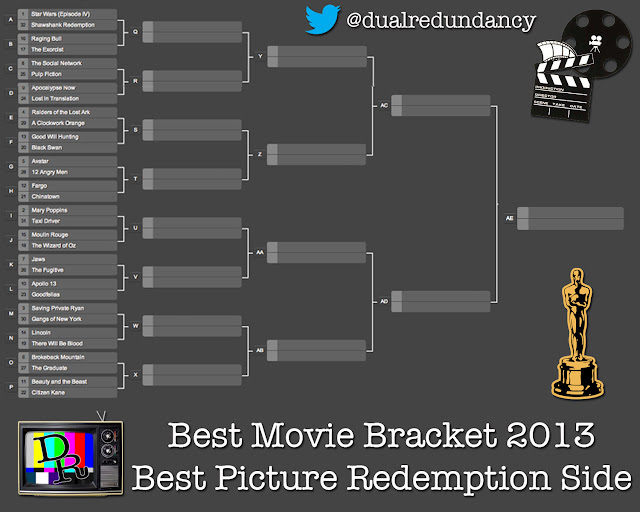 We have chosen 64 films and have them competing head to head against each other. They are separated by if they won the best picture Oscar and if they were the runner-up or snub that year. Choose what you think is the best between each match-up and hope they make it into the next round. The winner of each category (best picture winners and best picture redemption movies) will go head to head in the final round to determine the best picture of all time! Seeds were figured out by calculating how many Oscars were won by each film. The film with the most wins goes up against the film with the least amount of wins. If the number was the same we go in alphabetical order. Each new round of voting and the results will be announced here on the Dual Redundancy Blog as well as Facebook and Twitter. 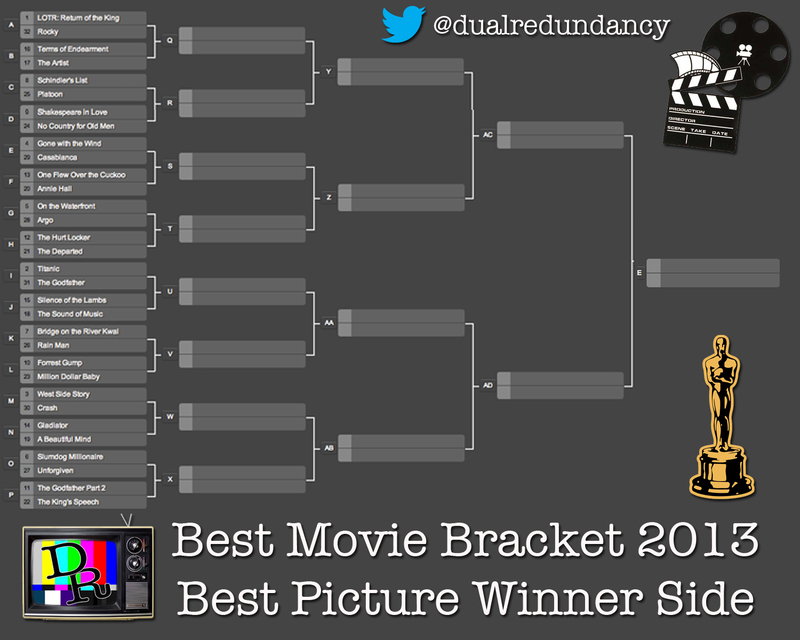 Click here to vote in round one. Only one vote per person. Dave and Mike's Next Project: "Rom-Com Tom"